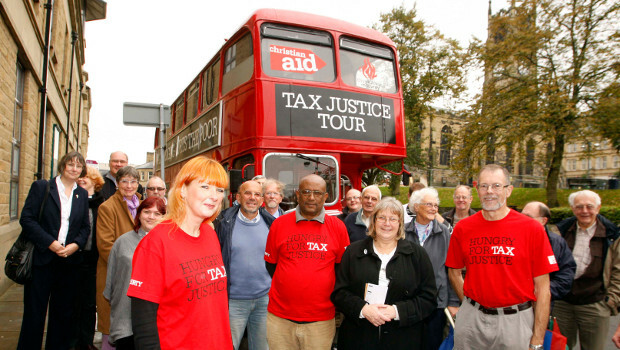 West Yorkshire Church leaders press MPs and MEPs to take action for tax justice. On Wednesday 30th January MPs and MEPs representing West Yorkshire received a letter from church leaders calling for concerted action from all political parties to address the issue of tax justice. Senior church leaders and representatives from West Yorkshire Ecumenical Council (WYEC), have written during Poverty and Homelessness Action Week , based on their churches’ daily experiences of sheltering homeless people, feeding hungry people, clothing destitute people and supporting people crippled by debt. As the numbers of food banks and food parcels increase the sense of injustice at tax avoidance increases too. The fourteen signatories were also keen to point out that tax dodging, in its various forms, is an injustice that keeps some people poor while others get richer. The letter comes following support from church leaders for Christian Aid and Church Action on Poverty’s Tax Justice campaigns. push for measures that would require companies to report on the profits they make and taxes they pay in every country in which they operate. ensure greater resources and energy are deployed to detect and prosecute those engaged in illegal tax evasion. This entry was posted in Churches, Close the Gap, Fair Taxes by niallcooper. Bookmark the permalink. Tax dodging is synonymous with rich elite. Rich elite is synonymous with tory government. therefore Tax dodging is hardly likely to be tackled by a tory led government! To be sure there are powerful interests which benefit from tax dodging, but the Prime Minister has said that he wants to put tackling avoidance at the top of agenda for the G8 meeting in June: Our task is now to ensure that words are followed by action.